Swimming is an important life skill that everyone should have. 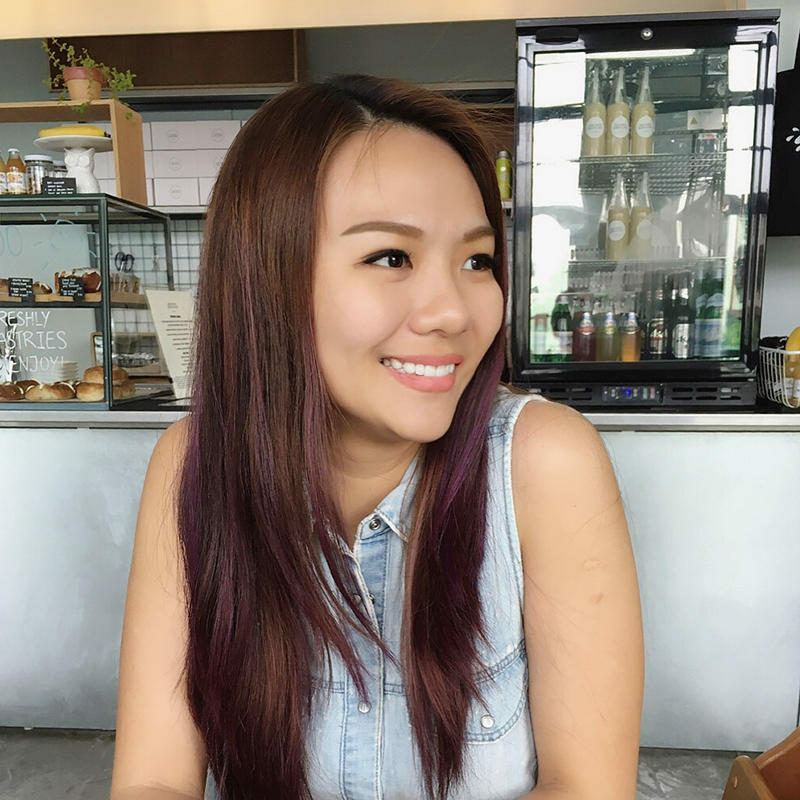 I have been looking for a good toddler / baby swimming class in Singapore that has classes at a convenient location for us for months now. We finally found it and started swimming lessons at Happy Fish Swim School. Happy Fish has classes for kids from 4 months to 4 years old. Daniel is 28 months now and started the toddler swimming class a couple of weeks ago. They have classes all over Singapore. 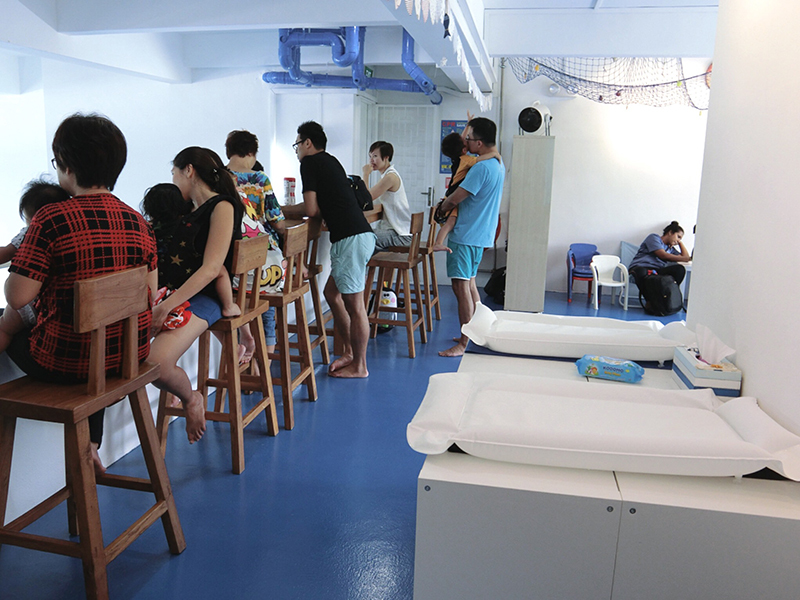 We chose to attend the one at their new premises with an indoor heated pool located at 8 Duke’s Road along Bukit Timah. We were warmly greeted and shown around when we entered the premises. The team were all very friendly to Daniel, saying Hi and giving out Hi-5s. Definitely gave us a good impression immediately. If Daniel’s happy, we’re happy. The pool’s heated and indoors, location’s just beside one of the newest and most happening cafe in town (ATLAS) and walking distance from Botanic Gardens MRT, and a great viewing/waiting area for parents. The pool is filled with mineral treated water which makes it less irritating on the skin and eyes for children. Definitely better than public pools! As a mother of 2 young kids, I am very impressed and touched by the little details Happy Fish has put into their swim school. There’s so many small touches that make it a comfortable place for kids and parents. There’s changing tables, baby wipes, shower foam, toys (to keep kids occupied while waiting for class), hair dryer and even a Dyson bladeless fan for safety against the little ones’ ever-curious fingers. I like Daniel’s swim instructor – Coach Jasmin. Not only is she a certified infant and toddlers trainer, she’s also very good with kids. Daniel was a little scared to go into the pool with the others at first but the swim instructor managed to welcome him in a really friendly way that made him warm so quickly and even pick up a few things at the very first class, pleasantly surprisingly both my husband and I. He learnt how to paddle (at the right time and for the right purpose, not just to splash about). At the first class, the swim instructor ran the kids through a series of tasks that helped them build confidence in the water and made each task like a game for the kids. See Daniel “swimming” after toys in the above picture. Daniel also especially enjoyed clinging on to the edge and reaching under the water with 1 hand to pluck the toys that were stuck to the wall of the pool. Another great plus point is that both parents are welcomed to get into the pool and enjoy the lesson with their child. It is such a great opportunity to bond! Daniel was a little afraid to have his head underwater and the swim instructor gave my husband a cup to pour water over his head to help him develop confidence in submerging underwater. She totally understands how important FUN is to kids. She cheered and hi-5’ed Daniel everytime my husband poured water over his head. Daniel really responded very well to her. My heart soared with pride and love as I watched Daniel enjoy himself and do things I’ve never seen him do before. We left the place very happy to have found Happy Fish and their excellent team. 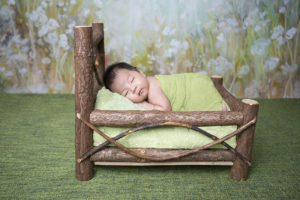 Baby Nathen is 1 month old now and we hope to start him when he turns 4 months old. I’ll update again as we go along to see how much he has progressed. 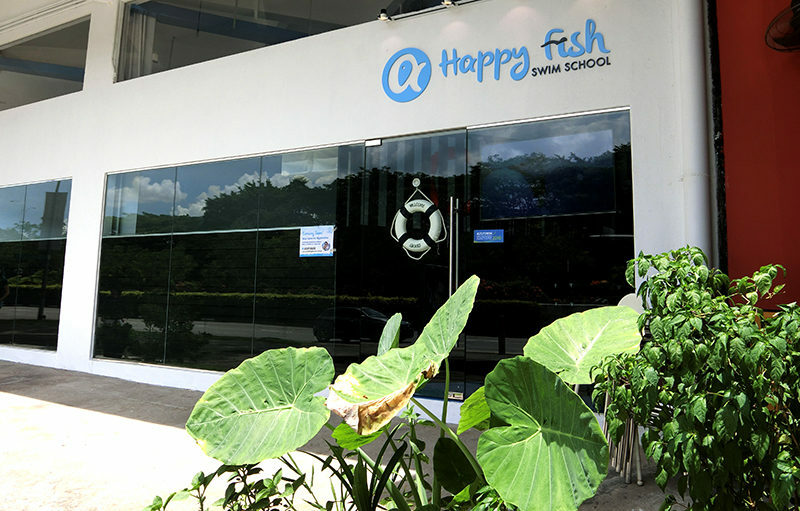 :) For now, if you’re looking for toddler / baby swimming lesson in Singapore, definitely check out Happy Fish Swim School. They have a great referral program whereby anyone can get a free swimming lesson or children age between 4 months to 4 years old (infant / toddler). Just call them at 6589 8650 for the arrangement, and state you are referred by me (Ju Ann) to get the 1 complimentary lesson for your child. Check out other Mother & Baby tips here! I have been looking for swimming instructors for my children but they are above 4 already! Having water that is gentle on the children is a great idea. Hi Sarah, thanks for swimming by! Haha i hope u find suitable swim lessons for your children soon! That’s great Katherine. Swimming is an impt life skill! Indoor and heated pool! Need I say more? Oh my the indoor heated pool looks awesome. Hope Daniel is having a great time swimming! Heated indoor swimming pool is a sure win! 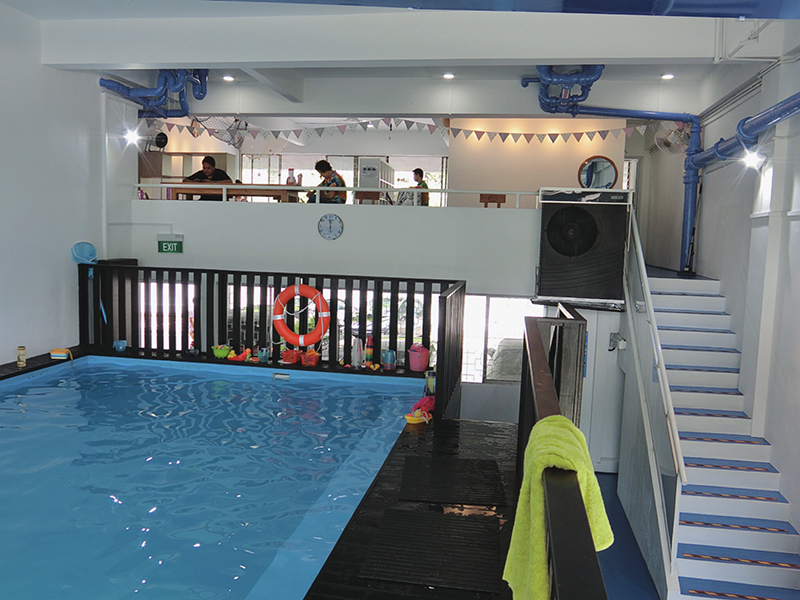 Nice indoor and heated pool..it’s really suitable for kids swimming lesson and i think your kid really enjoy it!